The FHA Single-Family Home Loan program does not feature a no money down option. However, there are state and local programs that may offer assistance to home buyers, first-time home buyers, or home buyers who are in financial need. The FHA Single-Family Home Loan program does not feature a no money down option. Some might confuse FHA home loans with another government-backed home loan program--VA mortgage loans. But VA loans are only for qualified veterans, currently serving military members, and qualified surviving military spouses. That home loan program is administered by the Department of Veterans Affairs, not the FHA. 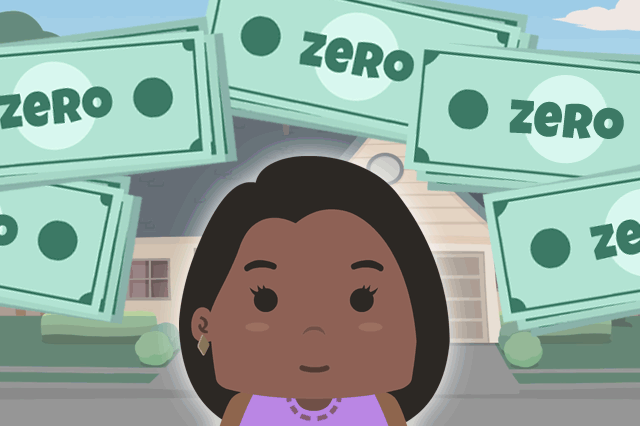 The fact that FHA home loans don’t offer a “zero down” option does not mean there isn’t some kind of down payment help for borrowers; there are state and local programs that may offer assistance to home buyers, first time home buyers, or home buyers who are in financial need. The FHA itself does not feature any down payment assistance programs. The agency does offer referrals to HUD-approved counseling agents in the borrower’s local area, and such counseling may include pointing potential FHA loan applicants toward down payment assistance programs offered in the local area. That advice aside, down payment assistance programs are not administered or overseen by the FHA, so it’s up to the borrower to find such programs in the community or nearby. FHA loan rules are very specific about down payments, and there are strict rules governing the source of all down payment funds, including who may provide down payment assistance. These rules are found in HUD 4000.1. Most FHA purchase loans will require a minimum down payment of 3.5% of the adjusted value of the home. This minimum down payment--also known as a Minimum Required Investment-is not the only up-front cash requirement borrowers have to save up for. Other up front expenses can include origination fees, discount points, appraisal fees, any applicable compliance inspection fees. FHA loan rules have a definite say in how the borrower can pay for these cash-up-front expenses. Cash advances from a credit card, payday loans or other types of non-secured debt to provide down payment funds or closing cost money are NOT allowed. Borrowers are permitted to use grants or loans, investment proceeds, personal savings, cashed-in stocks or bonds and many other sources of down payment money as long as these meet FHA loan standards. Talk to a loan officer if you are unsure about the requirements for cash to close, down payment sources, or related issues.